Elegant and well-rounded with personality, this full-bodied Merlot fills the mouth with its soft tannins. 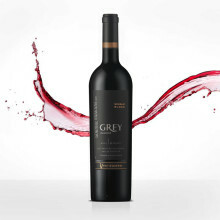 Its intense flavour brings out very ripe red fruits, cherries and prunes mixed with spices such as black pepper and tobacco. Ideal drinking temperature 16-18° C.
Pairs well with soft cheeses, pastas and white meats.